Hi @Channing. 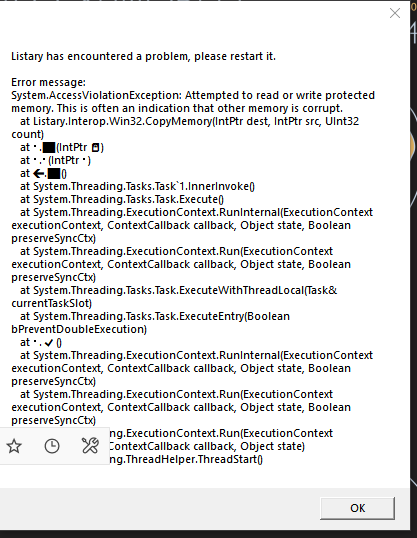 I am having several crashes, see screenshot. Can you describe what you were doing with Listary when the crashes happened? If you’re using 32-bit Windows, this is a known issue and will be fixed in the next version. Thanks for the information. It seems that Listary crashes when the default folder of a file dialog is set to a specific folder on your system. The next time it crashes, can you take a screenshot of the full file dialog? hi, still having this program. 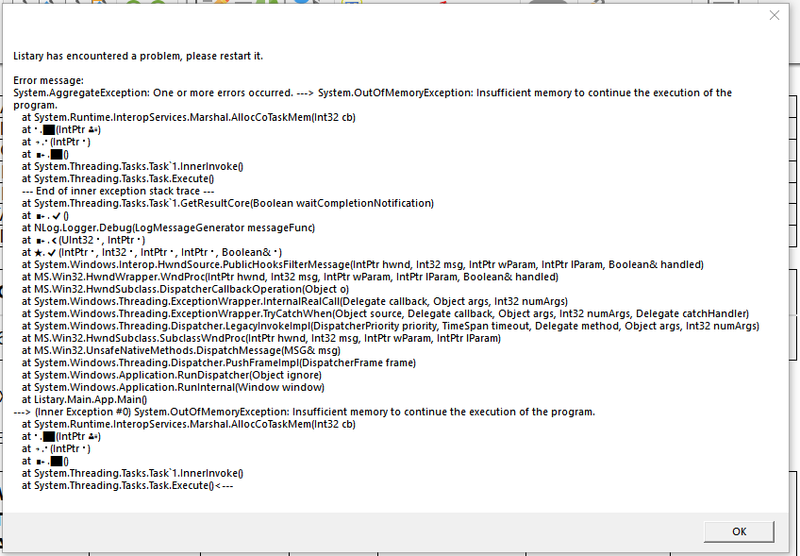 The dialog says your Windows was running out of memory. Check how much memory Listary uses and if Windows has some memory left.